NBC 6's Andrea Cruz has more on the incident over the weekend that had some crying foul following the graduation ceremonies. 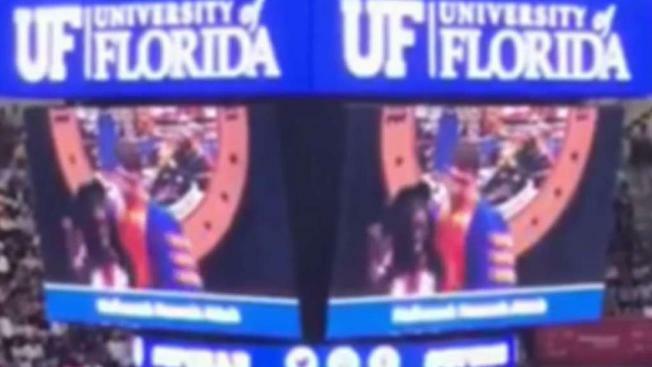 What was supposed to be a day of celebration for some graduates of the University of Florida turned into a weekend of controversy – and now, the school's president is apologizing for it. A video that surfaced over the weekend showed some students being pushed and pulled offstage after they started to dance during a commencement ceremony in the school’s basketball arena. The video sparked outrage, with some on social media saying the act was racially motivated because many of the students removed by the usher after they began to dance and celebrate were African-American. The video stirred up outrage with some on social media who accused the grads of being disruptive, while many others came to their defense, saying they were simply excited about their accomplishment. Video of the incident hit social media and went viral, and the president of the university, Dr. Kent Fuchs, responded by addressing the situation at a later commencement ceremony and apologizing for the staff’s actions. Fuchs went on to say that they've changed the practice of escorting students off the stage and it won't happen again, adding that officials have gotten in contact with all the students who were affected.